Discussion in 'iPhone and iPad Games' started by superhen, Feb 5, 2016. 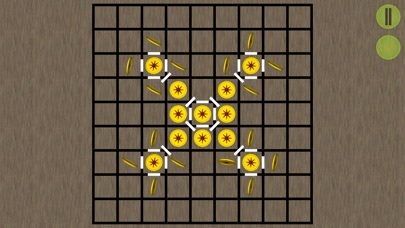 Lay the Coin Free is a fascinating game that was created specifically for iPhone and iPad. Playing in Lay the Coin Free train your strategic thinking and logic. A bright and stylish retina graphics will brings an unforgettable experience of the game. 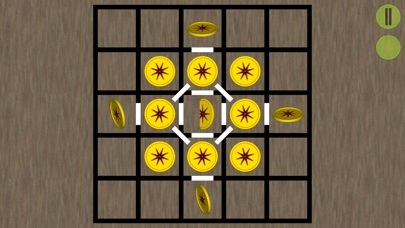 Lay the Coin Free starts with 5x5 boards, and unlock 9x9 boards as you complete some levels. 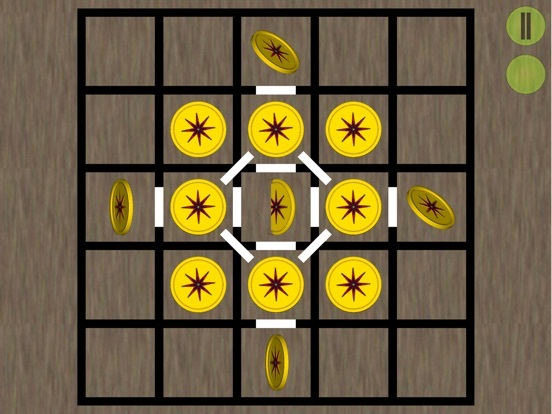 You must carefully consider each move in order to lay some or every tile with coins - perplexing puzzles await your brainpower. - Tap a tile to lay a coin. - If there are mirrors (white rectangular) at surrounding the tile, an arrow will appear to check the other side of mirror. - A coin will appear if there is no a coin at the other side of mirror. - A coin will disappear if there is a coin at the other side of mirror. 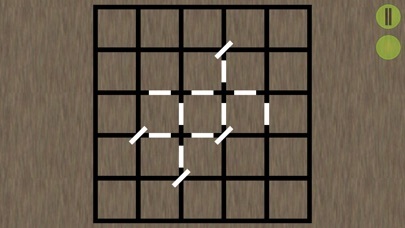 - A coin will continue to appear as long as there are mirrors at surrounding the tile. - Only odd number of arrow will make a coin appear. 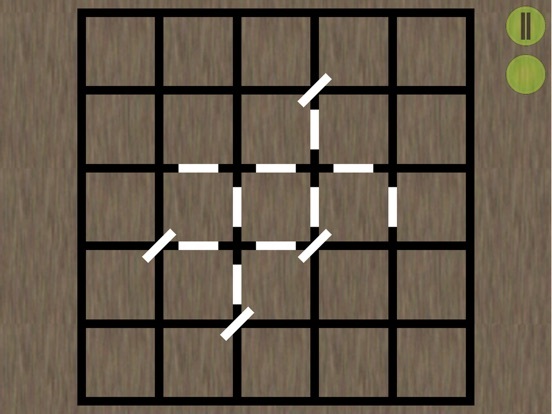 - Tap see button to display black dots arrangement and this arrangement must same with the coins arrangement to complete the level. 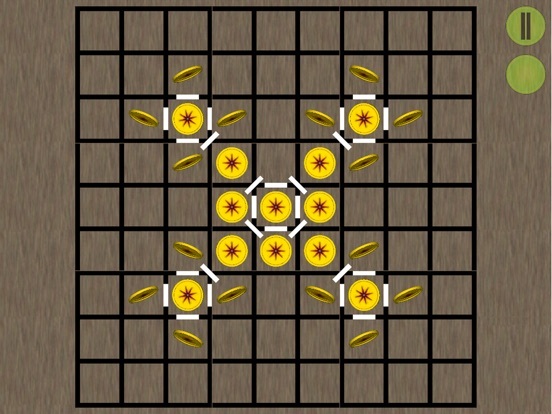 Features: - Beautiful game design - 5x5 and 9x9 boards - Two game modes, match and ripple - 35 levels Please don't hesitate to rate us, we love to see your support and suggestion!